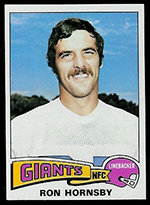 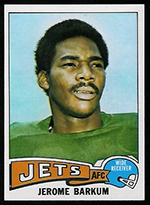 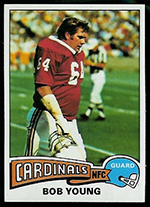 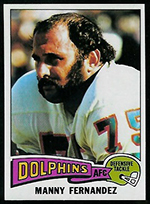 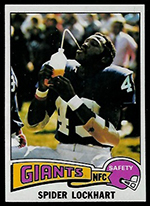 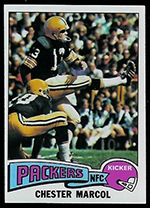 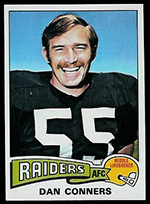 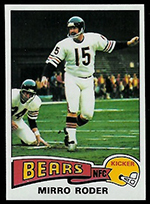 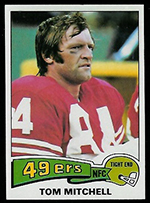 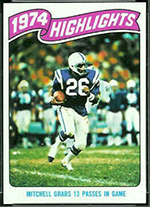 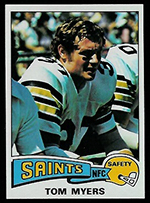 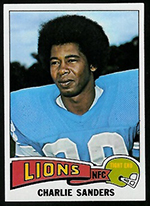 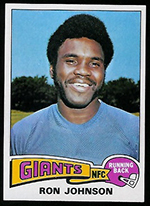 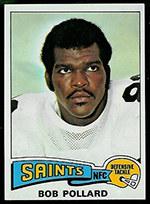 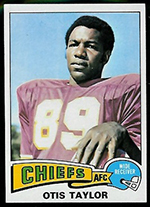 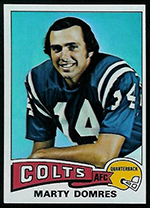 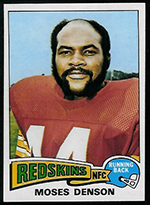 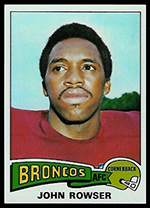 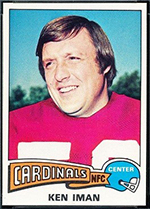 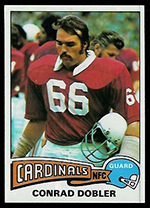 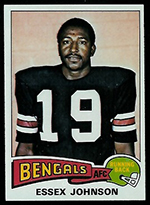 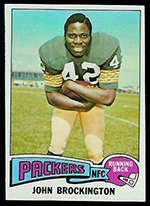 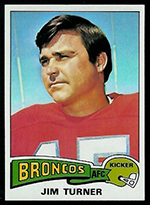 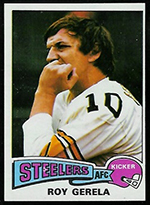 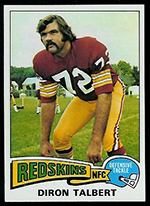 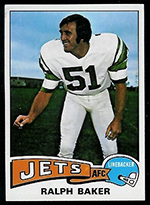 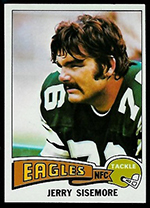 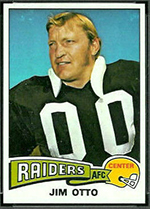 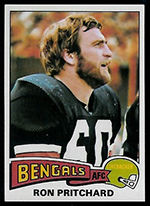 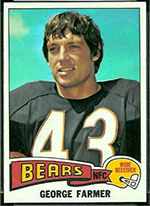 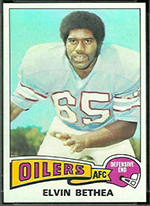 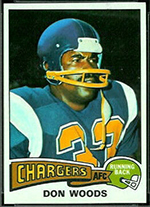 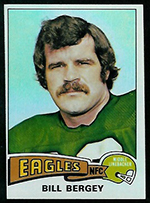 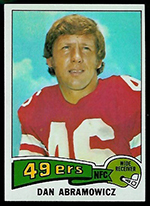 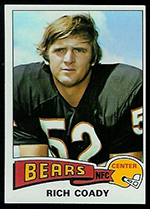 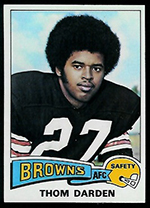 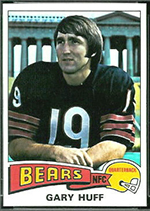 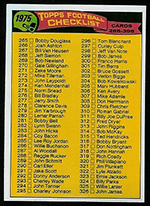 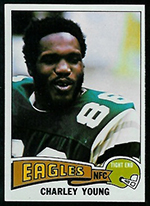 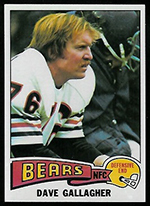 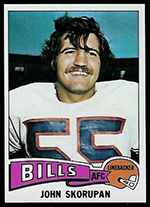 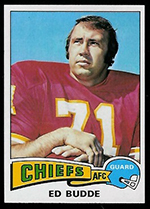 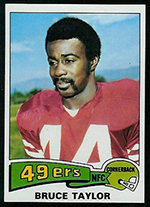 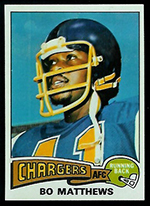 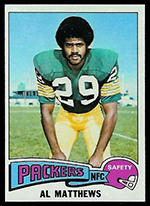 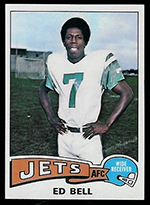 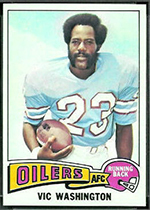 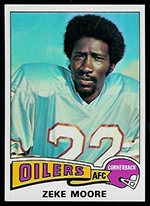 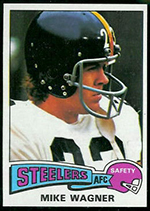 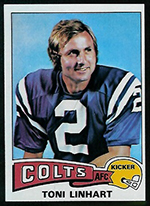 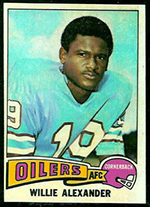 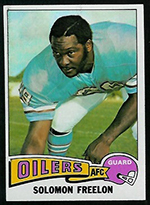 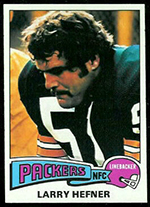 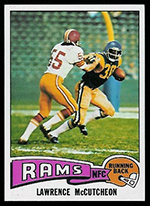 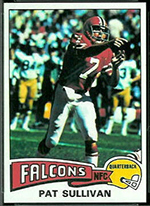 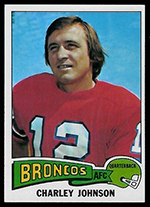 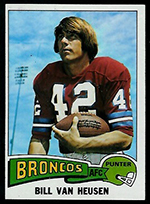 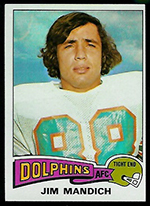 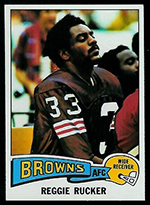 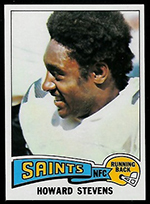 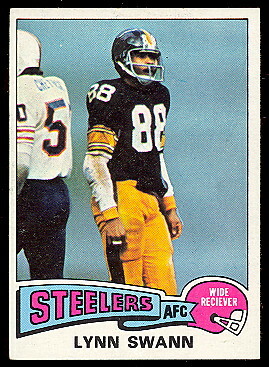 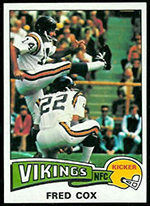 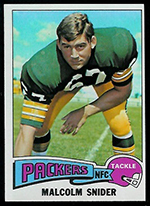 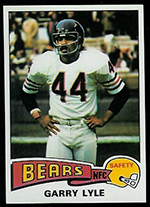 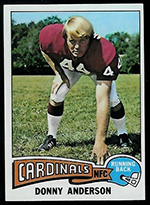 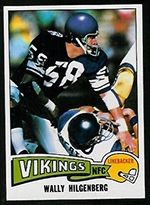 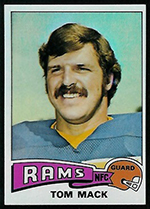 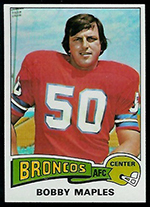 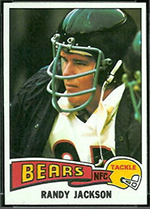 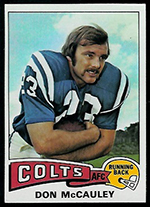 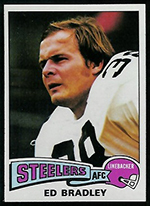 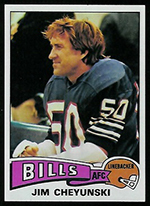 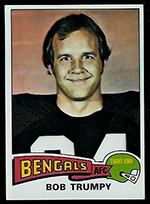 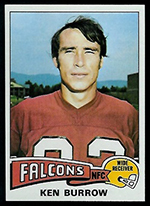 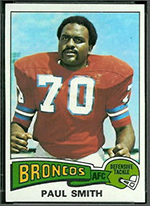 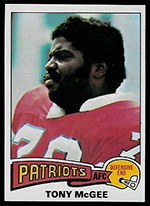 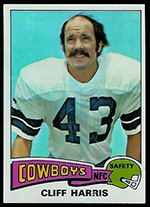 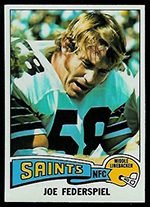 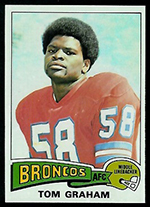 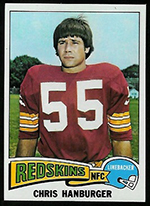 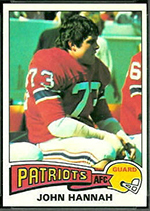 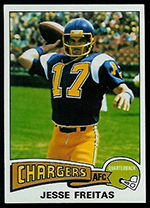 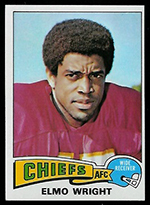 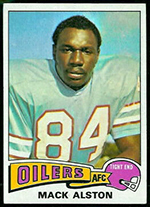 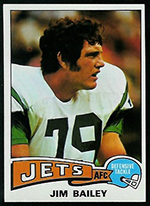 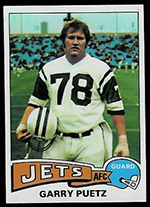 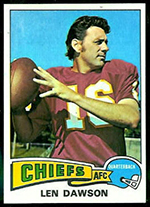 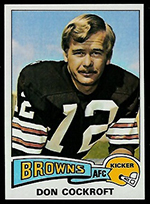 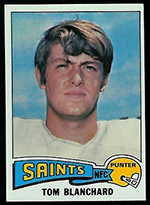 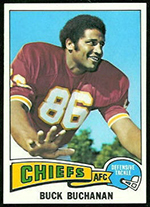 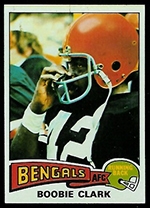 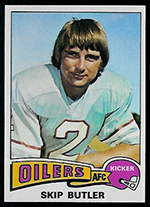 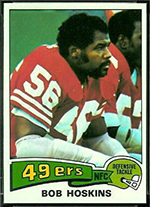 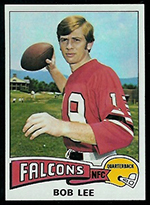 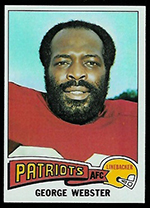 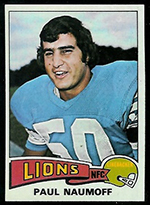 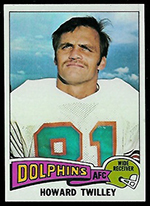 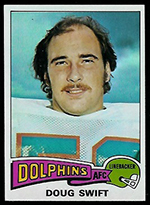 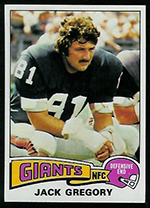 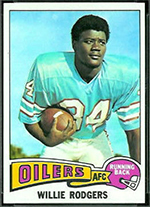 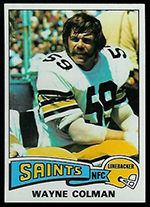 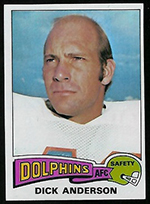 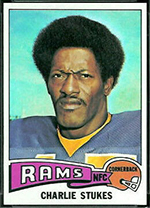 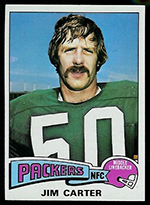 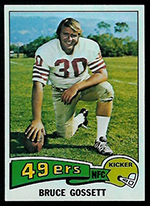 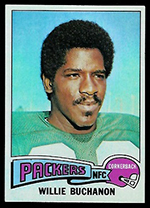 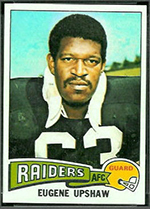 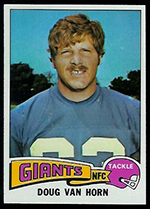 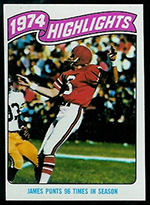 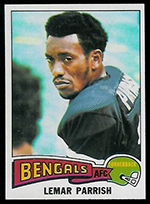 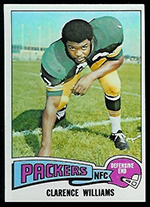 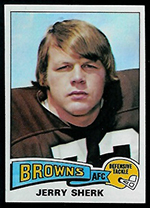 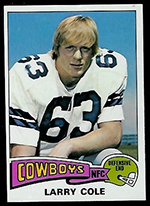 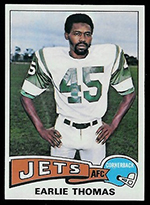 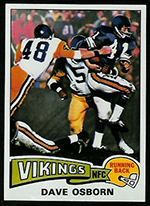 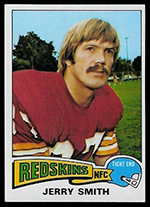 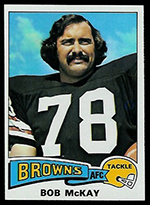 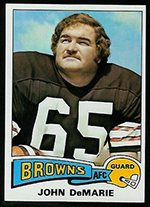 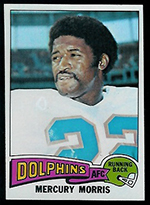 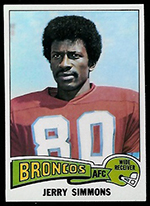 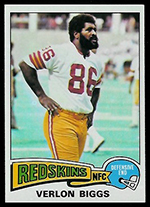 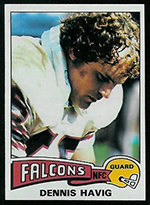 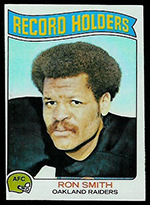 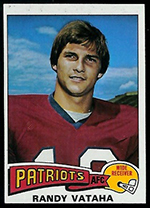 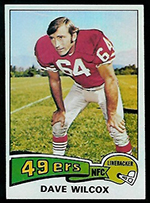 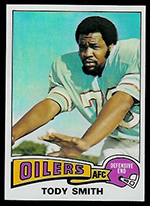 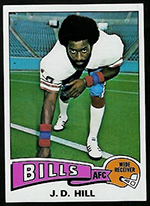 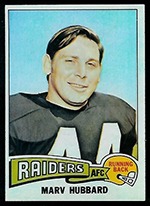 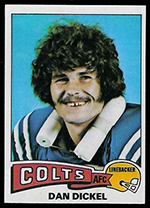 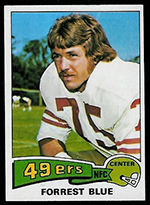 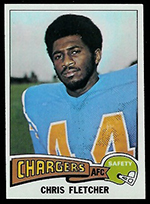 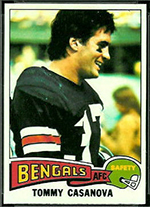 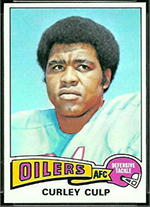 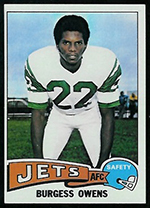 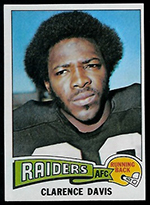 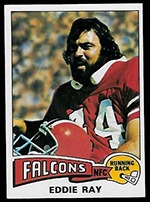 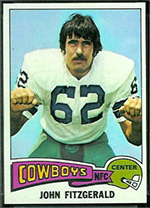 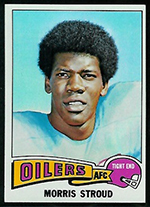 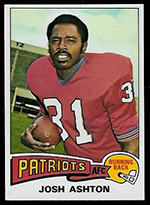 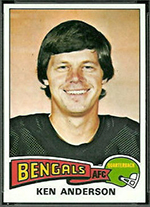 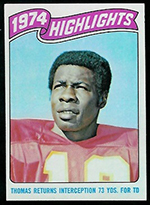 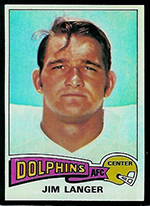 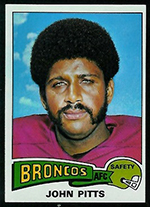 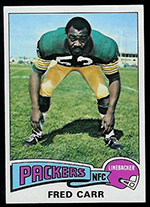 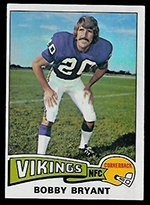 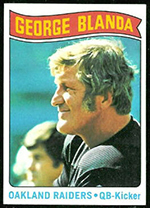 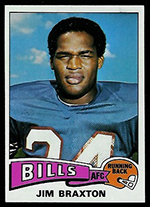 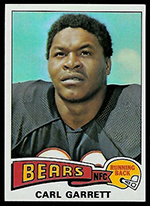 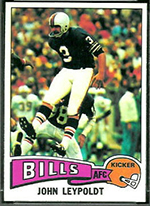 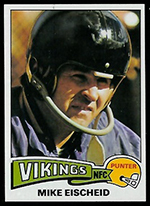 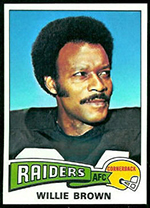 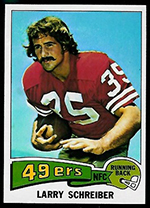 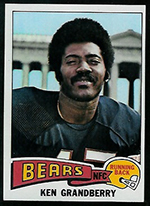 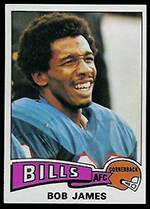 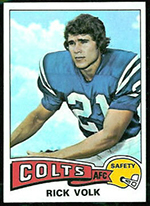 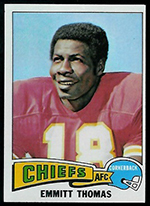 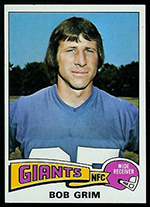 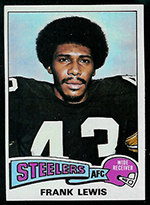 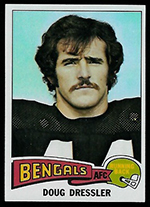 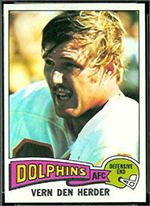 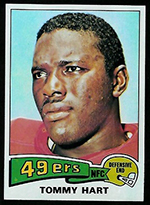 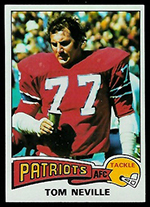 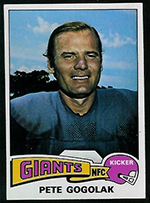 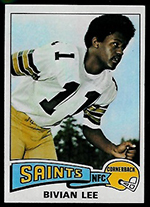 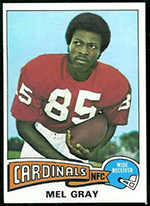 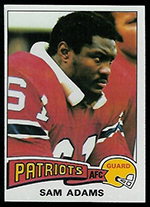 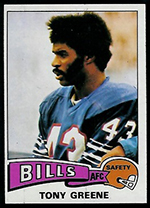 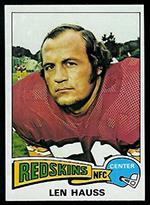 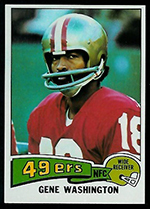 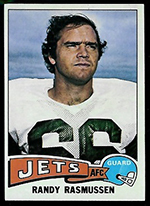 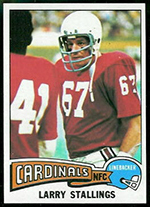 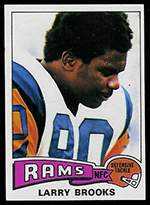 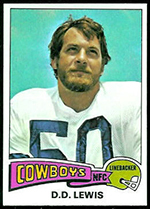 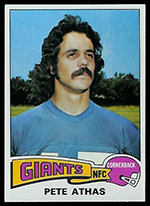 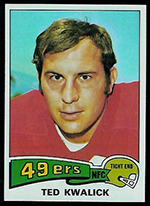 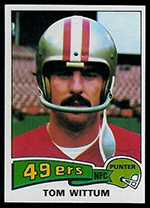 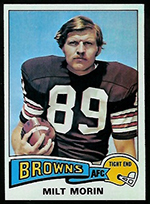 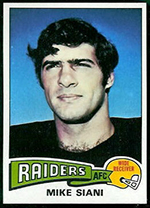 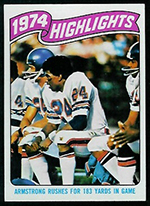 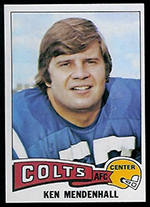 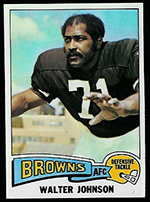 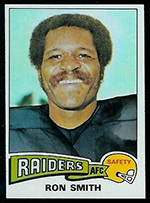 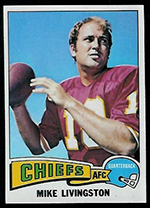 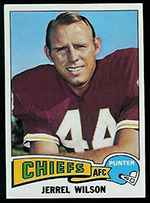 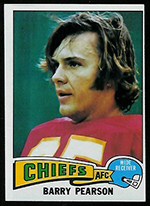 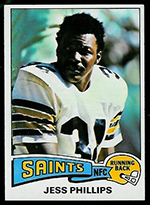 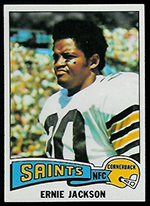 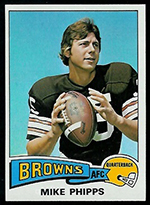 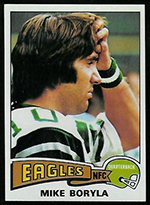 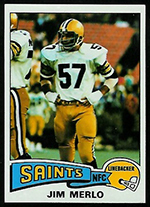 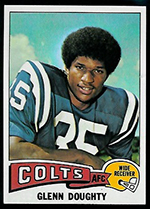 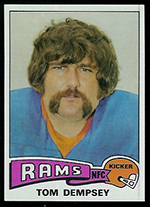 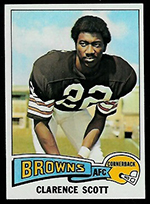 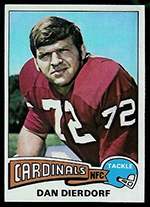 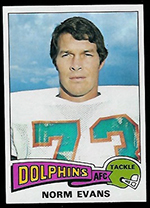 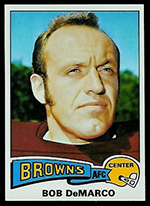 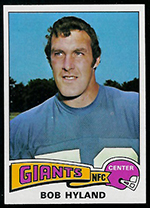 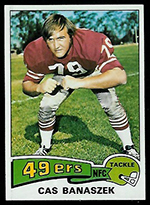 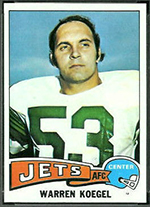 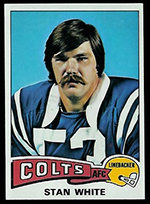 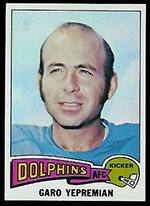 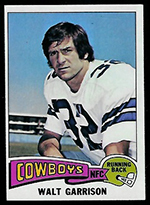 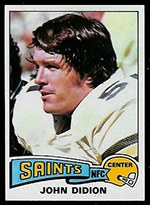 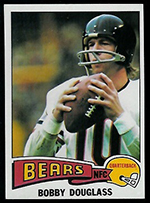 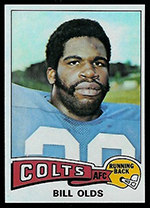 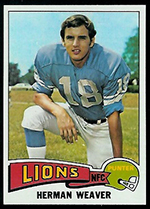 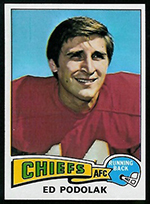 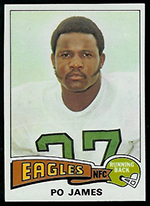 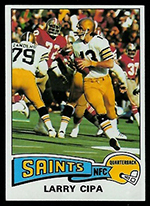 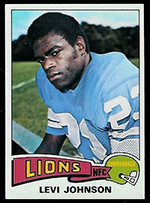 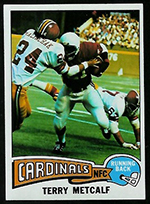 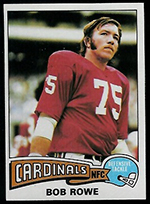 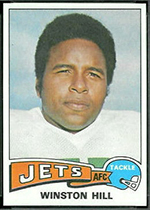 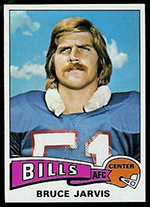 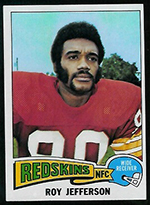 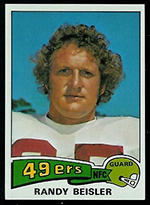 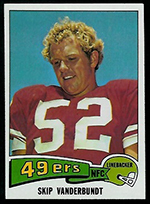 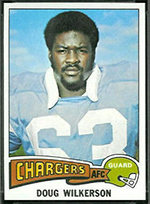 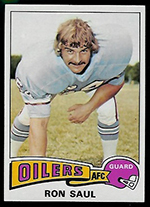 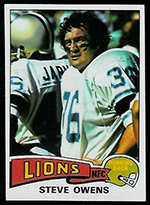 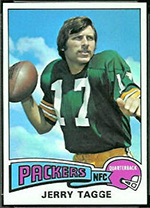 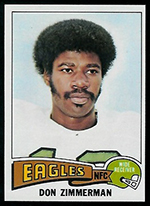 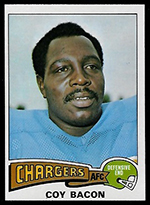 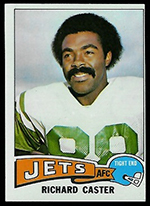 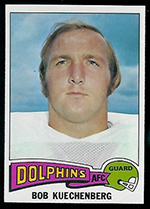 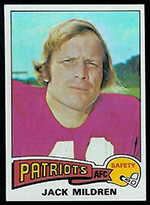 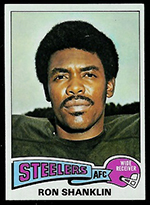 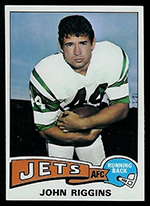 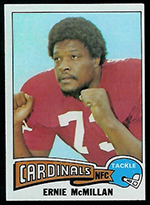 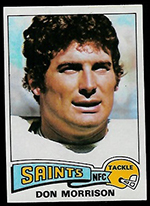 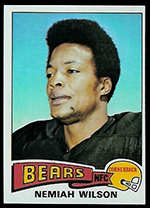 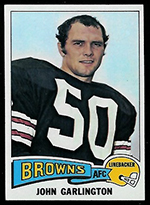 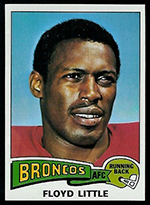 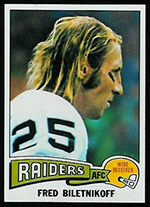 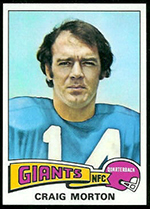 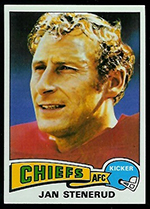 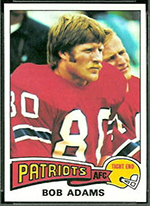 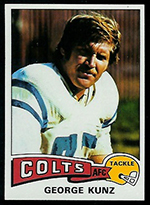 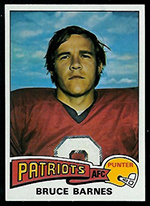 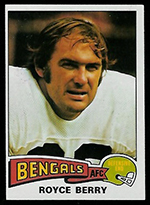 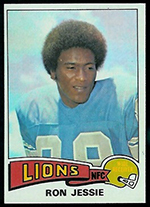 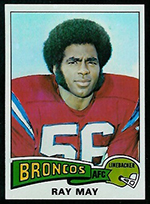 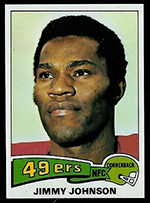 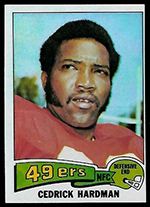 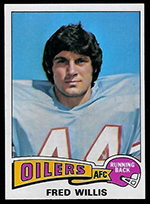 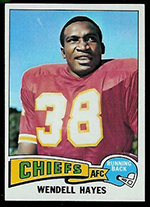 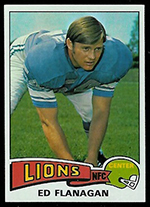 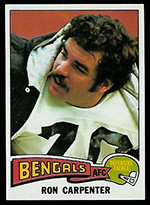 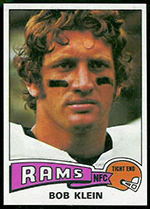 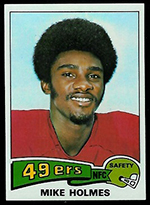 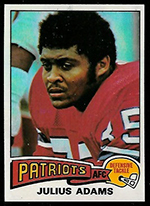 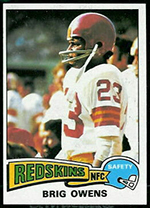 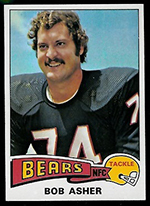 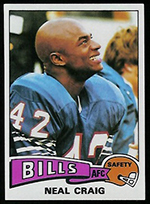 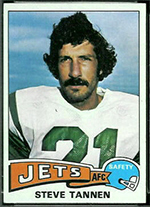 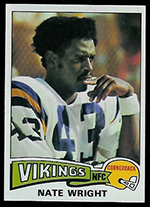 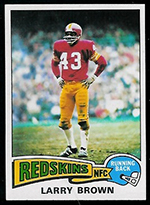 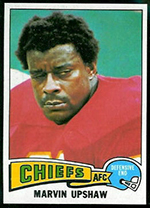 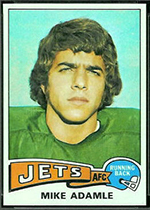 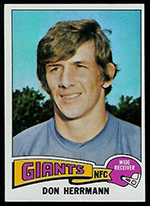 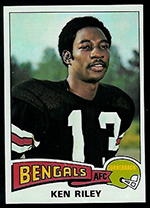 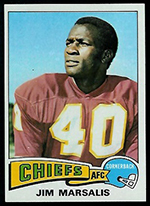 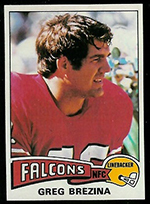 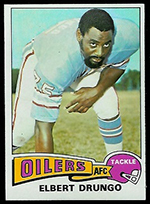 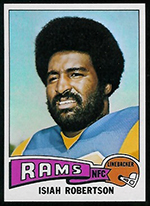 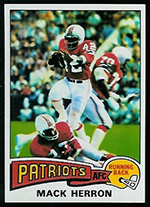 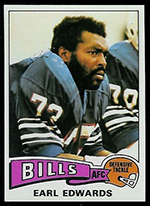 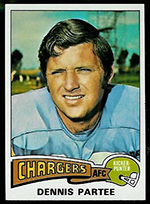 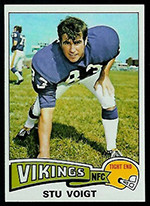 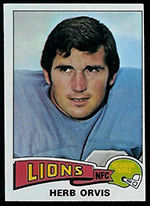 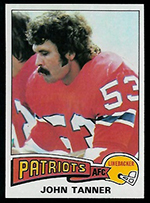 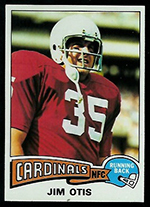 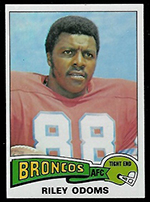 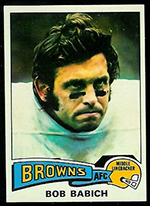 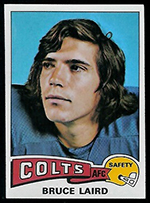 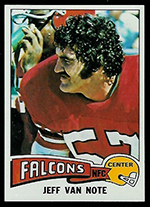 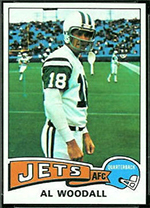 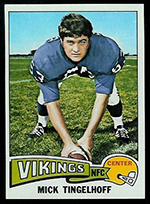 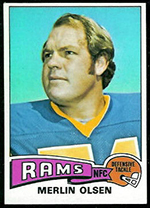 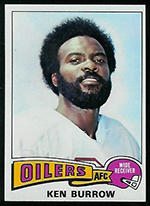 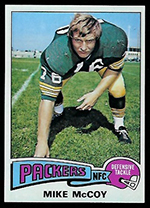 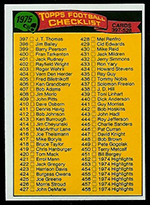 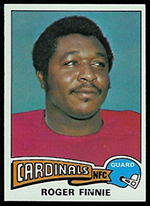 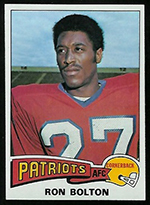 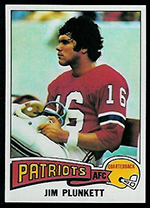 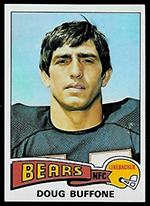 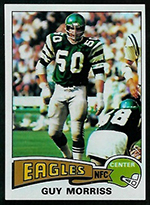 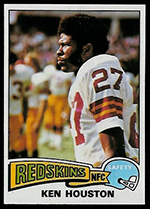 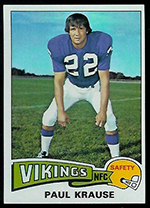 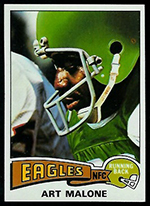 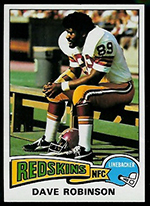 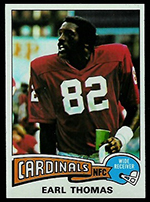 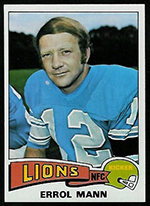 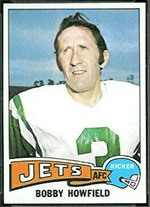 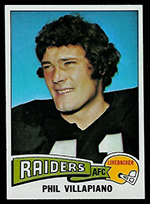 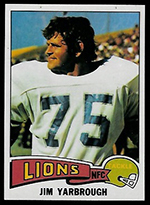 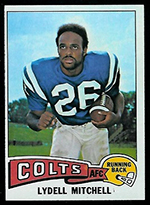 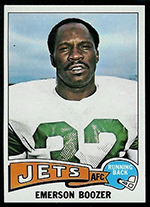 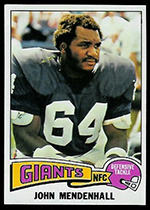 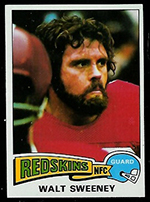 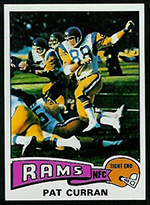 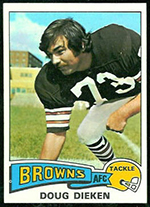 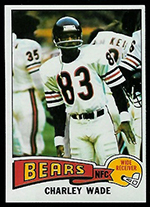 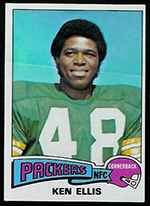 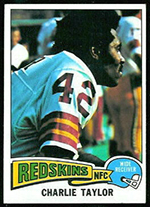 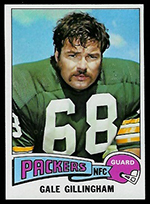 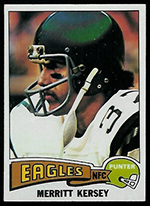 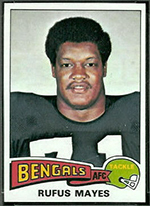 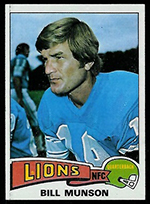 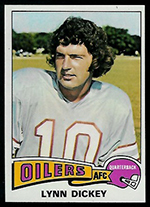 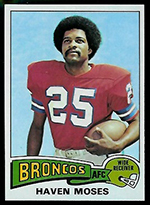 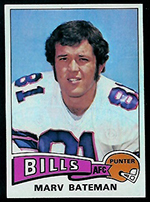 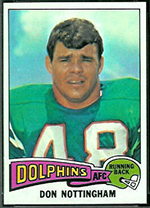 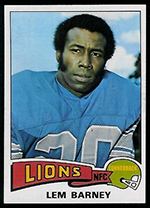 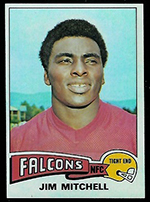 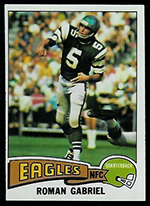 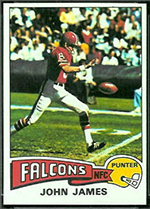 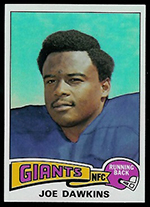 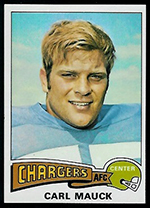 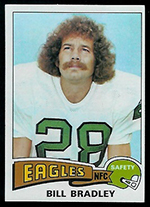 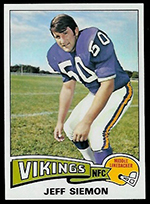 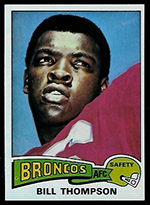 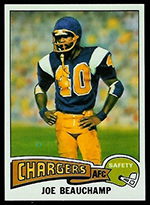 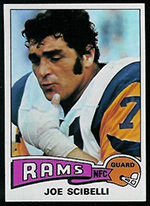 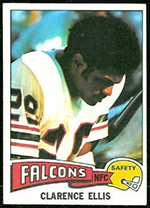 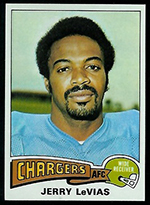 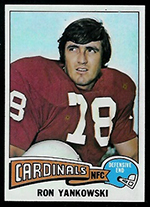 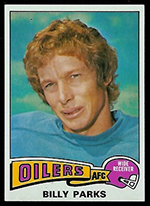 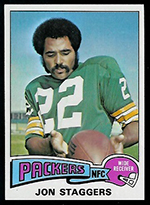 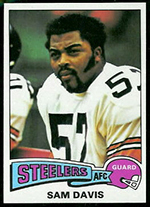 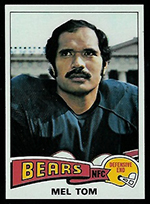 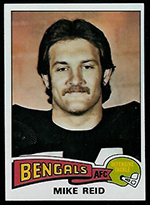 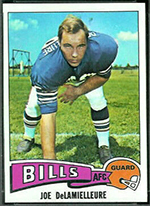 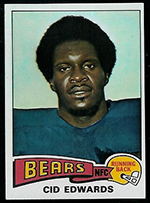 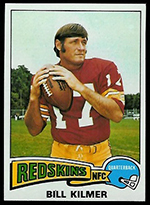 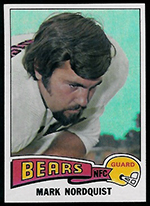 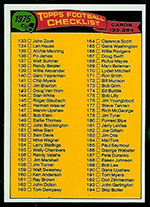 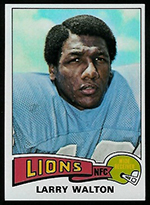 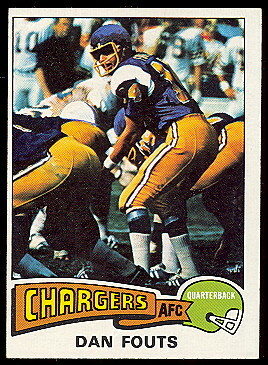 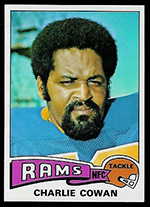 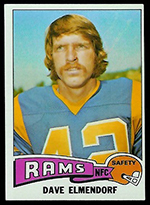 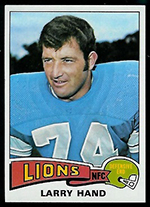 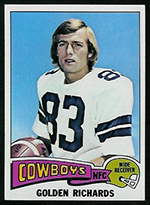 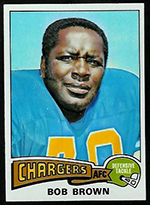 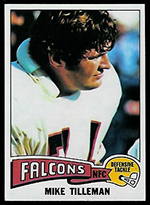 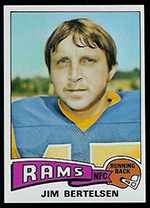 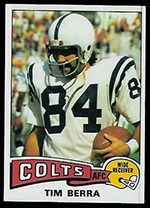 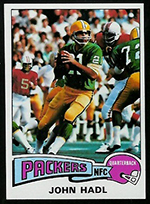 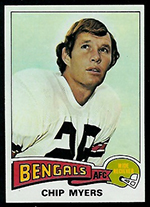 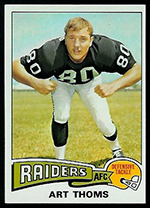 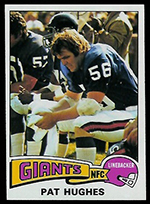 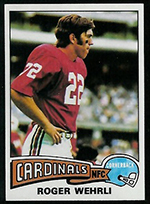 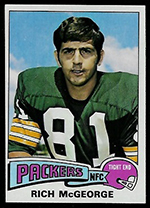 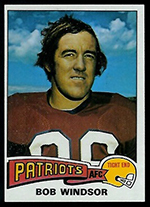 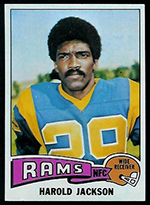 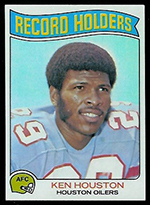 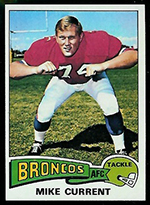 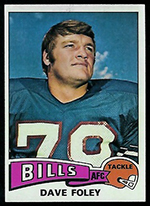 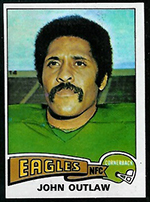 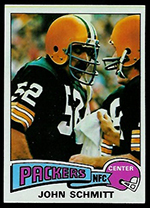 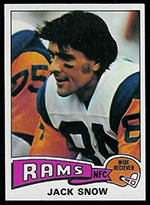 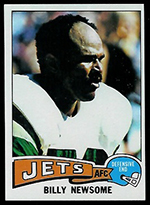 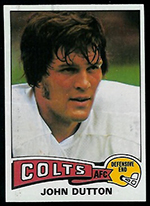 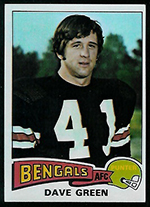 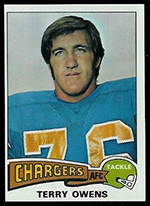 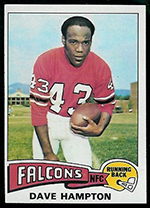 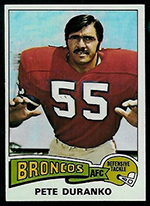 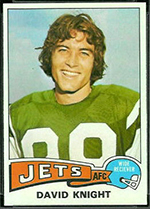 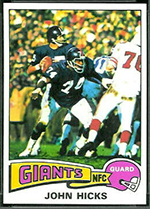 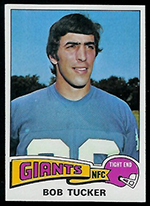 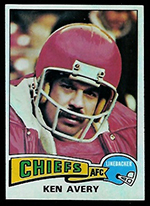 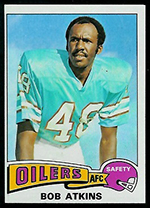 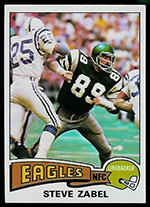 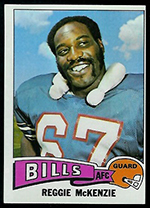 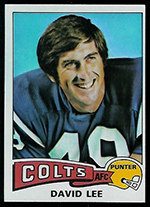 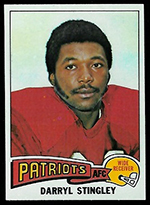 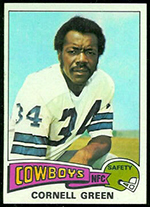 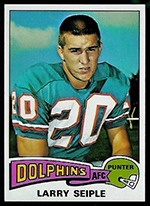 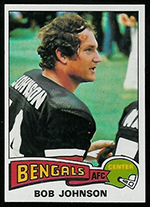 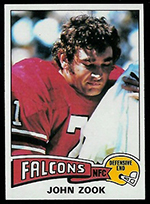 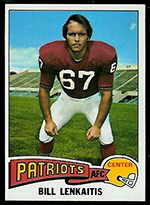 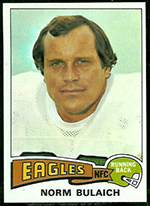 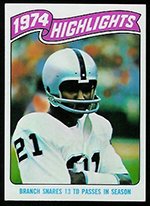 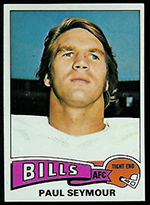 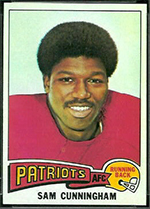 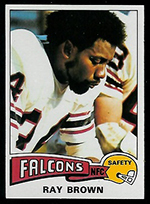 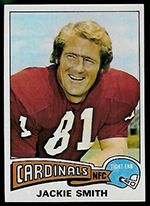 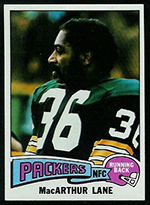 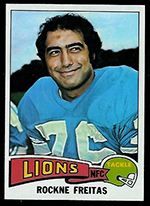 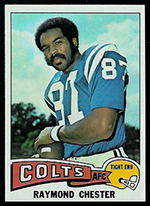 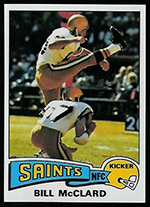 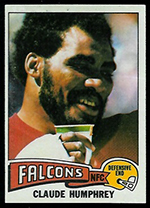 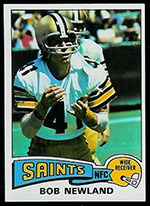 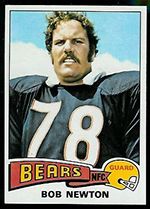 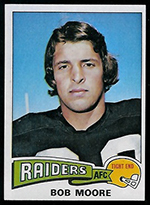 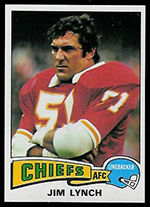 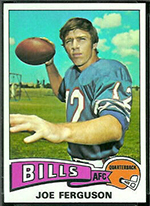 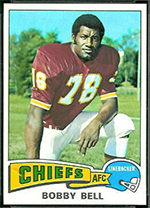 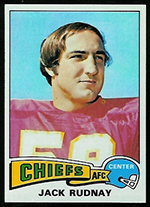 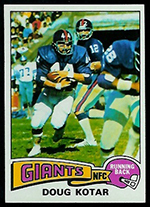 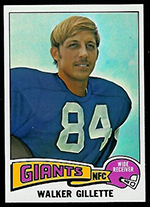 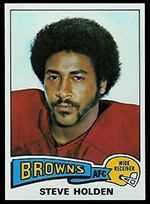 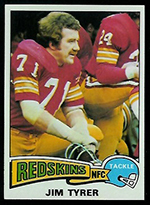 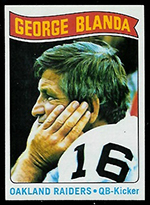 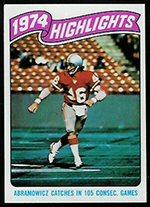 The 1975 Topps Football Card Set includes 528 standard size cards. 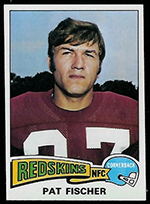 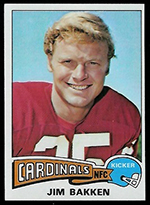 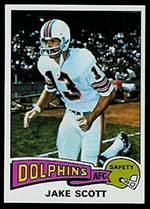 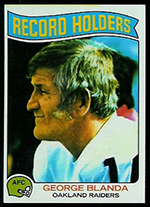 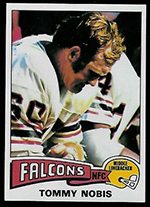 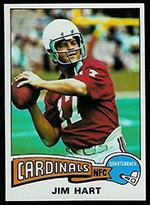 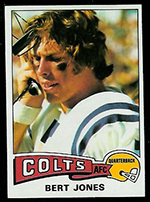 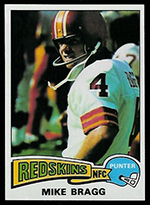 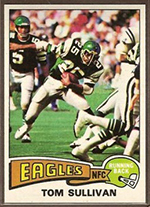 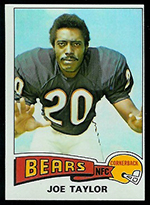 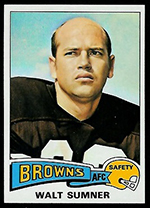 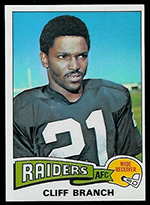 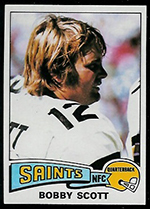 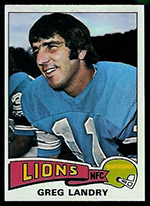 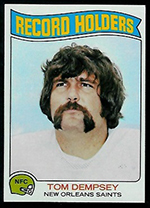 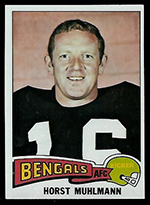 The subsets for the 1975 Topps football cards are: League Leaders (1-6), All-Pro selections (201-225), Record Breakers (351-356), Highlights (452-460) and Playoff Highlights (526-528). 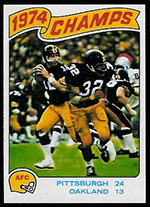 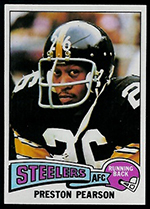 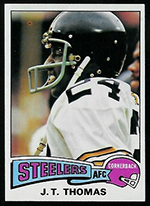 The key rookie cards in this set include: #12 Mel Blount, #39 Rocky Bleier, #65 Drew Pearson, #282 Lynn Swann, #367 Dan Fouts and #524 Cliff Branch.